As everyone knows by know, the famouse Paul Walker passed way in a car accident this past weekend. 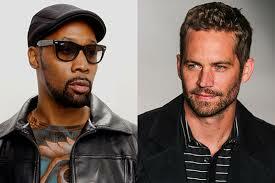 Its been alot of posts about this and now his friend and co-star RZA has made a song in his honer. With an open mind I can accept that anything is possible! !